Chargrill Charlie’s has been a part of the Sydney landscape since 1989. They have been making mouth-watering chargrill chickens every day to the same outstanding recipe for twenty-five years. Whilst they will always be about traditional stuffed chickens and Portuguese style chickens, the menu is far more diverse than just chooks. The family was brought up being passionate about food, good food and exciting ways of seeing and creating food. Feed the mouths of lots of local families over the years. They are trusted and respected by many. It’s not just busy families that pop into Chargrill Charlie’s but famous fans alike. Next time you’re picking up a piping hot chook keep your eyes peeled. 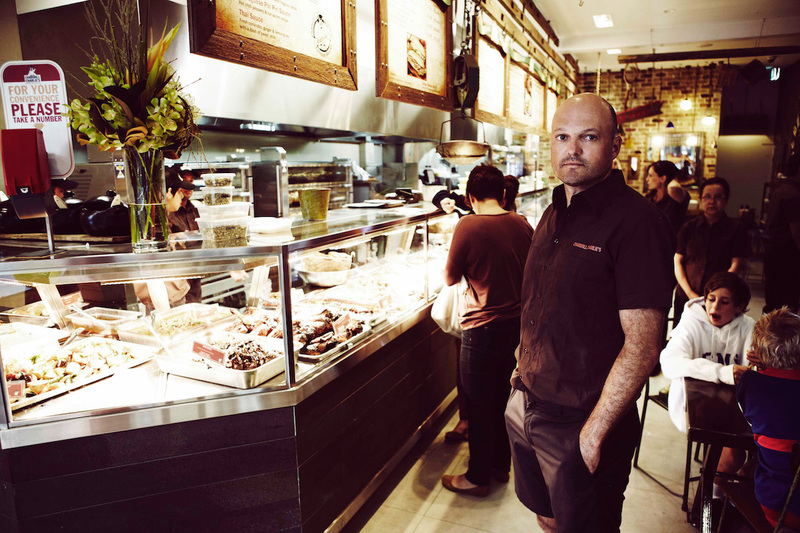 I recently sat down with Ryan Sher, co-owner of Chargrill Charlie’s, and had a chat about the journey and whats next. Ryan, thanks for taking the time to talk all things CC. I heard on the grapevine I need to download Chargrill Charlie’s world-class mobile wallet and loyalty app!! Tell me what made you come up with this and what benefits we can all get from the app? The idea behind the app initially was to try and get our image more modern with the younger generation and ensure we stay current in this technological age. However, when we went down the path, we realised that actually everyone wants to use it. It’s simple to use – no credit cards or cash are required. It also means parents can download it for their kids and will be emailed what their kids have bought, so they can keep track and give them peace of mind. Every dollar spent attracts loyalty points which can be redeemed in-app for actual store credit to purchase and build up your loyalty status which unlocks different benefits. The benefits to customers are huge and as with all technology, we are making big updates all the time with many new features in the pipeline. Everybody loves the app and the growth has been phenomenal with only minimal promotion. 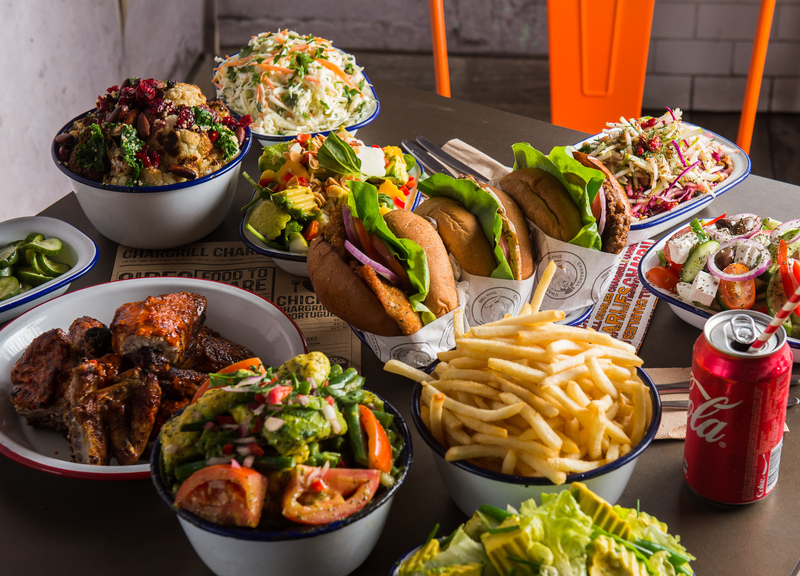 Chargrill Charlie’s has been serving Australians mouth-watering chargrilled chickens, fresh salads and moreish sides since 1989, what has been your secret to success? That’s simple – it’s our staff and our customers. We have amazing staff that feel absolutely like they are a part of the business and part of the Chargrill Charlie’s family, not just workers. With our customers, our business culture is, ‘look after the customer and everything else will take care of itself’. We absolutely do not worry about bottom lines and percentages at the end of the day. We value our customers above all else. For us it is about the customer experience, making the best quality and freshest food for them. If I walked into your new Annandale store today, what should I order? What’s the must-have? If you are feeding your family you must order our traditional stuffed chicken, a bag of homemade wedges or our famous chips and one or two of our many fresh salads. Personal favourites of mine are our new Poke Salad and our classic Chop Salad. 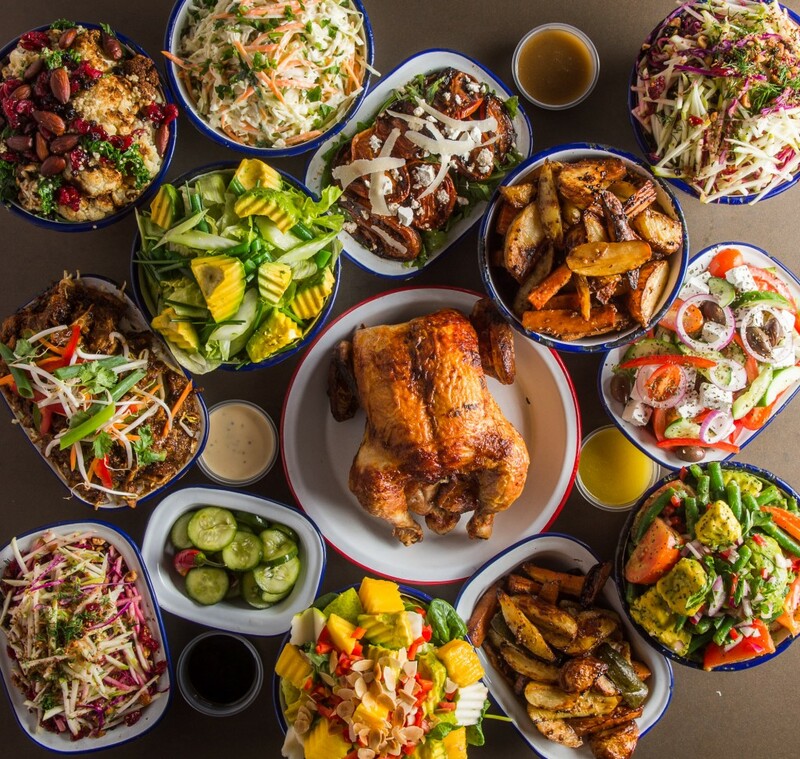 If you are eating lunch I’d recommend a 1/4 chicken and chips or a really healthy option is our DIY plate which is 1/4 chicken and anything you want on the plate so you could fill it with our healthy salads. Chargrill Charlie’s has become the spot to spot a celebrity. You have fed some famous stomachs. Who are some regular local celebrities and Who’s been the highlight? 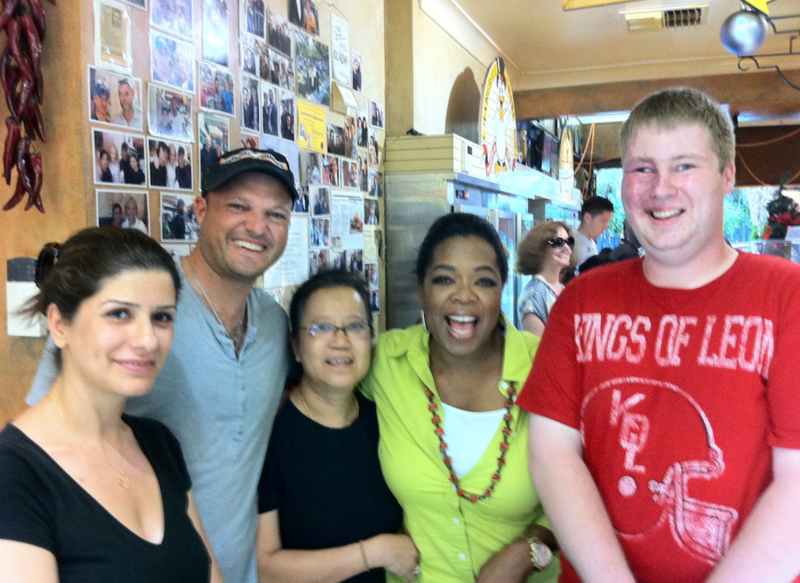 By far the highlight was Oprah many years back when she toured Australia. In fact, it was the only unscheduled unplanned stop on her whole trip. 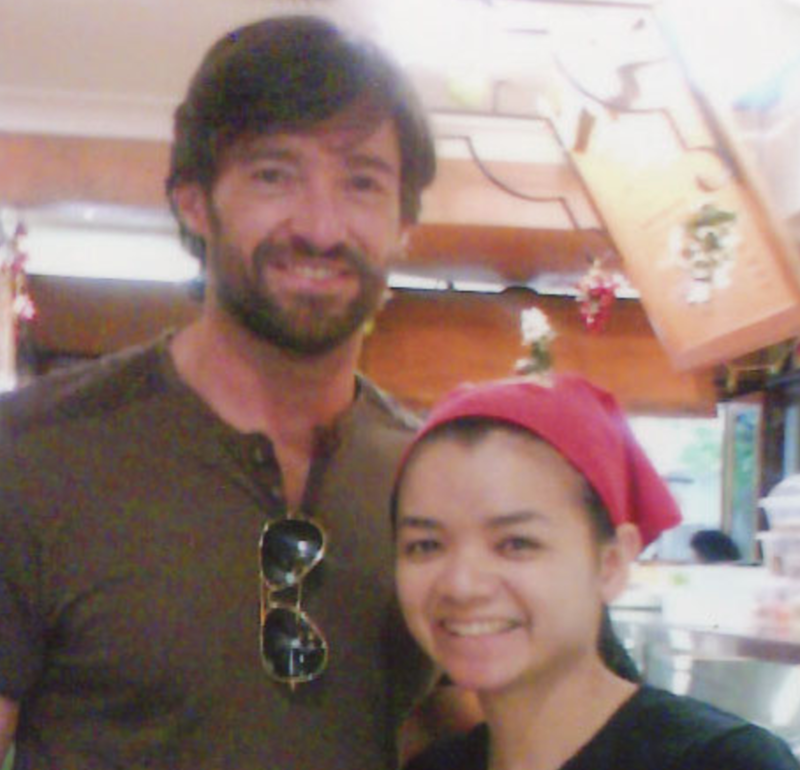 Nicole Kidman and Hugh Jackman had told her to eat there who are both regulars when in Sydney. That was a lot of fun. 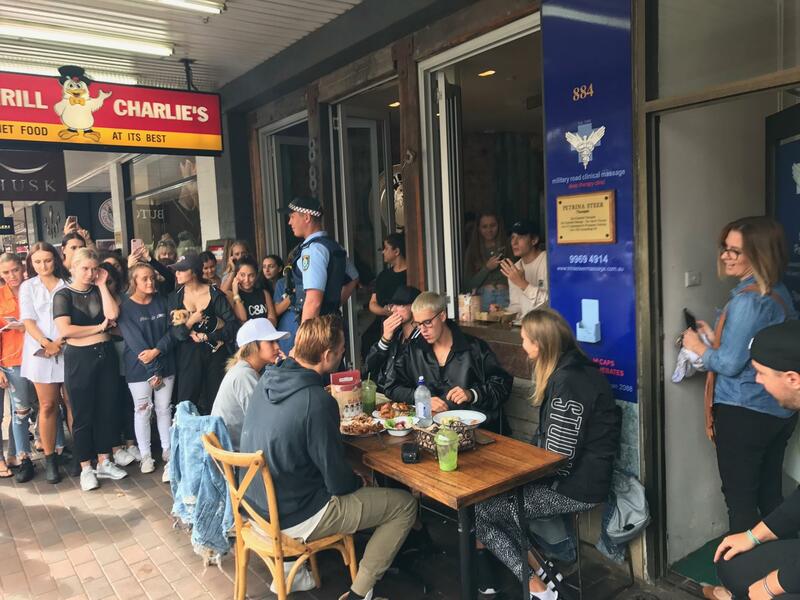 Justin Bieber also ate at our Mosman store at the beginning of the year when he was touring Sydney. It was such a surprise and a number of people watching him eat there was unlike anything we’ve ever seen! I’ve heard I need a BLACK card for my Sydney visits? What is a black card and how do people get one? How many stores are open now and where are they? 10 Stores with an 11th on the way! These include Rose Bay, Annandale, Woollahra, Neutral Bay, Mosman, St Ives, Willoughby, Wahroonga, Mona Vale & Lane Cove. Rumour has it Chargrill Charlie’s is the first to create charcoal – free chargrilled chicken? This would make the process environmentally friendly. How and what you change to a more pollution-free alternative? That is absolutely correct! We invented and have a world patent over a clean charcoal cooking method, absolutely emission-free including no smoke and no dirt whatsoever. We are very conscious of keeping all our cooking methods clean. We only need exhaust fans to take the excess heat out the shop. Come into any Chargrill Charlie’s and it will be totally odourless too. We buy fresh ingredients from the markets daily and use organic grass-fed meat and free-range chickens. We have always done this from day one and has been our bread and butter at Chargrill Charlie’s. What’s next for Chargrill Charlie’s? We are aiming to open interstate within the next year. For us, opening hundreds of stores is not the goal. We are family run business and want a slow sustained growth so our standards and culture do not diminish. That is what drives me and makes me happy. Well, I’m hoping for a Melbourne store!! FINGERSCROSSED. Chargrill Charlie’s not only can feed your family weekly but they do catering. Next time you have that family BBQ or birthday party. Let Chargrill Charlie’s take the stress out of the event and look after the stomachs of your guests.